No detail was overlooked in the complete remodel of this beautiful vintage farmhouse property. Efforts were made to retain many original elements, including trim moldings, door handles, & oak doors. Located in desirable Cream Ridge, this fully redone colonial has a spectacular wraparound porch and historic charm. Gleaming hardwood floors throughout, spacious Living Room and Dining Room with recessed lighting and crown molding. The Kitchen features brand new 42'' cabinets, granite counters, tile backsplash, and stainless steel appliances. Bathrooms have been completely renovated with brand new tile, vanities, and showers. All Bedrooms feature hardwood floors throughout. The Sunroom can be considered a Bedroom. 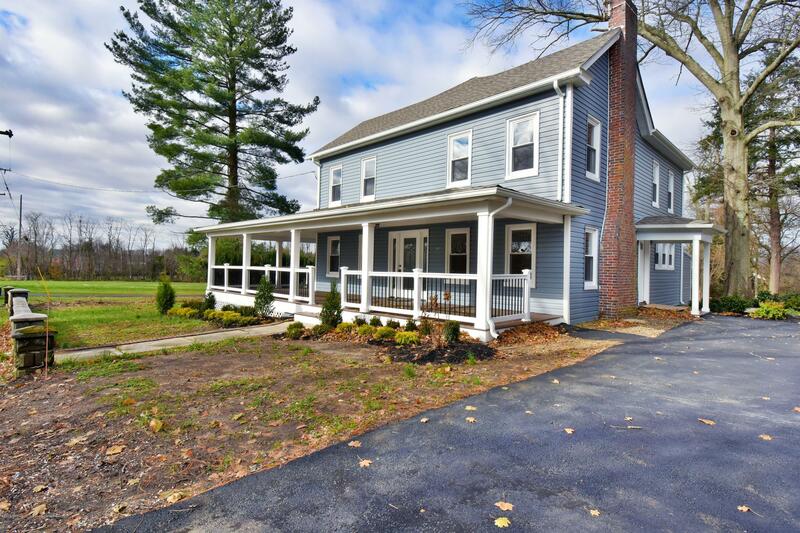 Come and make this unique home on 1.18 acres yours before its gone!